Every year I look forward to all the new product announcements that come out in the shooting industry in December and January. With the long range craze having gone mainstream I was especially interested to see what cartridges, components, and shooting gear would be released for SHOT 2017. The first product announcements that got me excited came from Hornady. They had released factory 6mm Creedmoor ammunition and a whole new slew of match grade bullets in calibers from .22 to .30. I was most excited to see a bunch of new offerings in 6.5mm that would work excellent in my 6.5 Creedmoor and was floored when I saw the G7 BC for the 147 ELDM; it was a whopping .351! I quickly glanced through my manuals and realized that this bullet would be in the same BC class as a 7mm 180 grain Berger Hybrid and blow most other commercial 6.5mm offerings out of the water. 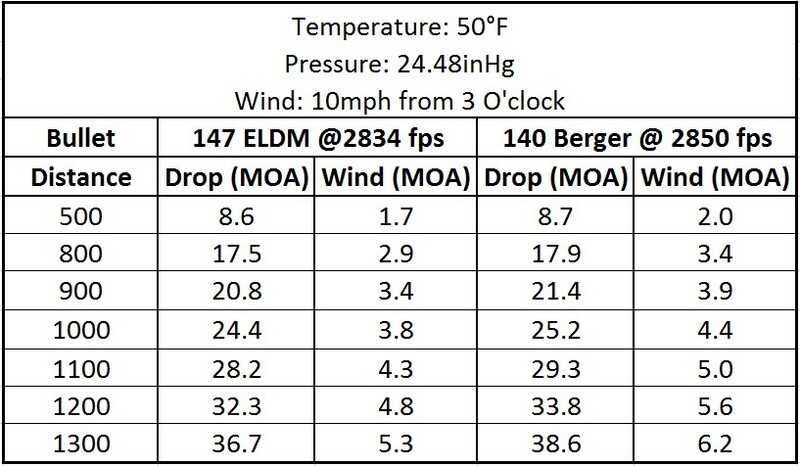 I crunched some numbers and found that even if I could only run the 147’s at 2700 fps they would still drift less in the wind and carry a little bit more punch at 1000 yards than my tried and true 140 Bergers at 2820 fps. I decided they would be worth trying out and placed an order to see how they would shoot in my rifle and to see if the claimed BC was true. While waiting for the bullets to arrive I did a little reading at www.Hornady.com/BC. Hornady states that listed BC’s on the box are measured at Mach 2.25 so that they can be directly compared with other manufacturers listed BC’s. They also list the BC’s at other Mach values and suggest that the BC at Mach 1.75 be used for shots over 600 yards. For the most accurate shooting solutions Hornady recommends use of their 4 DOF Ballistics Calculator which uses custom drag models instead of BC’s to compute the solution. This ballistics calculator currently has many Hornady bullets in its library as well some offerings from manufacturers such as Berger and Sierra and can be used for free at http://www.hornady.com/ballistics-resource/4dof. After the bullets arrived I randomly selected 20 bullets out of a box and measured their overall length (OAL) and length to ogive (LTO) as measured by a Hornady bullet comparator and some RCBS calipers. Results of the measurements can be seen in Figure 1. 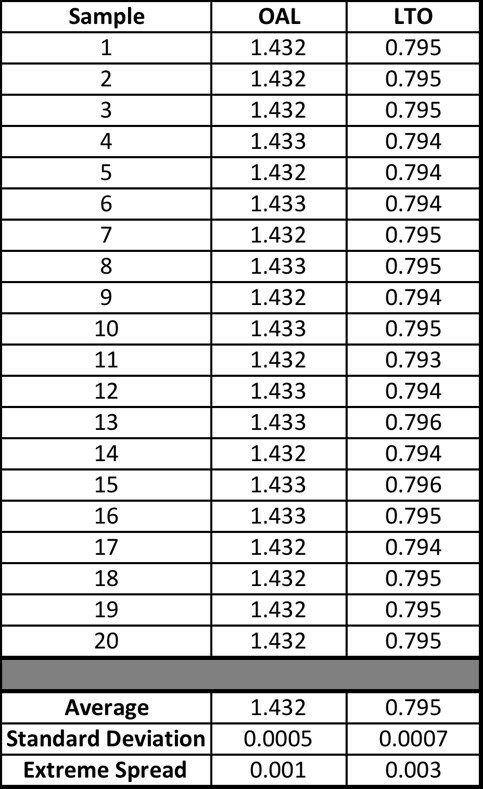 To truly feel confident in these numbers I should have used a micrometer, but these calipers have shown to read very accurate when compared to calibrated micrometers I have tested them against in the past but still take the numbers with a grain of salt. For initial load development I used a modified case and a Hornady OAL gauge to find my max OAL length with the 147s would be approximately 2.890” so I backed off .020” and used an OAL of 2.870” as my starting point. All loads were shot using 1x Hornady fired brass with Fed210M primers. H4831 was my first powder of choice due to the excellent accuracy I have had with it while using 140 Bergers. I also loaded up some cases with RL26 based off results I had been reading about with that powder in a 260. My first range trip was used to find pressure limits as well as get a general idea for which powder would shoot best. Groups with RL26 did not show any potential worth chasing but my first 3 loads with H4831 all shot between .5-.75 MOA and didn’t show any signs of pressure in the 30-degree weather. I loaded up an additional 5 rounds at the highest powder charge that had shot well with H4831 and ran back up the mountain to shoot them over the magneto. Since my load was only 1 grain under my 140 Berger load I was optimistically hoping for 2775 fps so imagine my surprise when after 5 rounds I had a velocity of 2834 with an SD of 6.6! With velocities faster than I had hoped for, and groups hovering just over 0.5 MOA, I decided to load up 50 rounds to shoot at distance and check to see if the advertised BC would hold true. Before sending bullets down range I ran my shooting solutions in Shooter on my iPhone and compared them to the Hornady 4 DOF ballistics calculator. I had Shooter set up to run a straight G7 BC of .351 as well as a stepped BC version based off the published BC’s at each Mach number. When comparing solutions, the standard .351 G7 BC gave identical solutions to the 4 DOF all the way out to 1400 yards and I decided that would be the model I would use when shooting. The morning I went to test the bullets’ BC I was greeted with temperatures below 20 degrees with a “Feels Like” temperature of -1. I needed to re-zero my rifle and in the amount of time it took me to fire 5 shots my shooting finger had all but frozen up. I gave my finger some time to warm up while some friends confirmed zeros on their rifles and then we turned our attention to the 752-yard target. I took a wind reading and sent my first bullet down range and hit just wide right. A few clicks to the left and steel was ringing but bullets were impacting about .25 MOA above my POA. One of my shooting partners was running a 6.5×284 with the 147s and his impacts were right on. We shot that target until there wasn’t much paint left and then moved to the 825-yard plate. Boom. Ting! First round impact about .25 MOA high out of my Creedmoor. The plate we were shooting was not hung very well and it didn’t take long to completely take it out of commission after a few hits. We still had a 4” plate hanging in the frame and the 6.5×284 hit it after just a few attempts and sent the plate flying off the chain. Impacts at this distance with the 6.5×284 were dead on using the advertised BC and I decided that my zero should come down a click and that I didn’t fire enough rounds for proper zero confirmation earlier in the morning. With the rifles and bullets running well we stretched it out to 1270. My Creedmoor hit it on the third shot using a solution that I adjusted down .25 MOA to account for the previously mentioned bad zero. The 6.5×284 required an additional 1 MOA of elevation but once it was on it pounded the plate with 3 hits in a row. As a final confirmation we came back to a 10” plate at 1003 and again elevation was dead on. 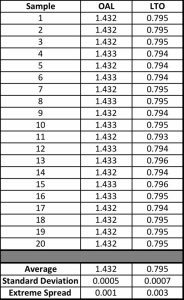 I struggled to make consistent hits on the 1k yard plate as I missed just off the left or right side of the plate and it was most likely a sign of shooter fatigue. The 6.5×284 hammered as it went four in a row with one shooter and then six in a row with another shooter. The bullets just flat shoot! 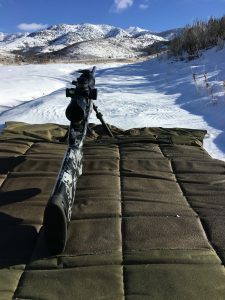 Shooting in the field had confirmed that the .351 G7 BC had worked excellent in two rifles and the extra 1 MOA needed at 1270 with the 6.5×284 may have been due to excess mirage coming off the barrel or possibly bad form on the rifle due to a tough shooting position. Since the bullets are still very new I haven’t found many other reports to see if other users agree with the advertised BC or to see how fast they are able to run them in their rifles. I did look through factory ammo offerings and Hornady currently offers both the 140 ELDM and 147 ELDM in factory 6.5 Creedmoor ammunition with advertised velocities of 2710 and 2695 fps respectively. Given that the two factory loadings are within 15 fps of each other I expect most users will be able to run the 147’s at speeds very similar to their current 140 loads and enjoy the benefits of a BC that is roughly 13% better than a 140 Berger Hybrid. 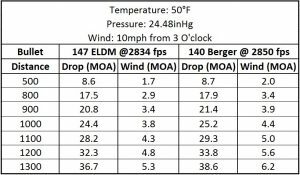 I’ve included a chart that shows drops and wind drift at various distances with the 147s at 2834 fps compared to a 140 Berger VLD at 2850fps to show how they compare if you can keep velocities close. One last thing to note, the 147s arrive on steel with authority. There was a noticeable difference between impacts with the 147s at 2834 fps and with 140 Barnes Matchburners at 2850 fps. The spotter was quite surprised with it and made mention that he had never noticed a real difference in impact force between bullets like that before and he’s spotted for me multiple times as I’ve shot 130 grain bullets next to shooters running 140s. I am very excited to continue shooting these bullets and to see if my initial results are repeatable over time.